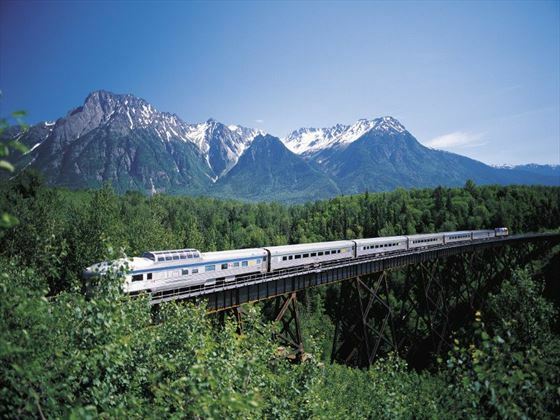 This holiday is a wonderful combination of wild scenery and vibrant cities, watching the world go by on two day train journey’s with VIA rail and a day-cruise along the Inside Passage. Experience a trip in the Columbia Icefields on an Ice Explorer and enjoy a Whalewatching excursion. 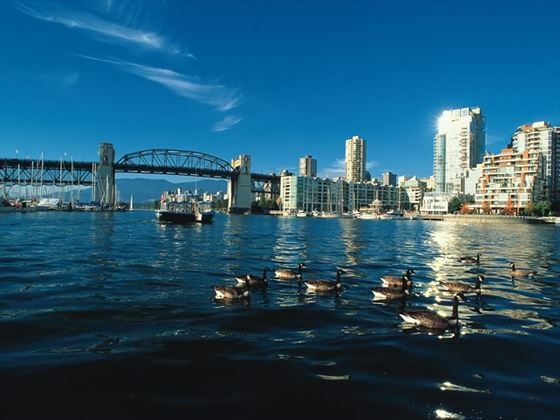 Starting in the cowboy town of Calgary and ending in the beautiful coastal city of Vancouver, you will see awe-inspiring scenery and fascinating wildlife along the way. 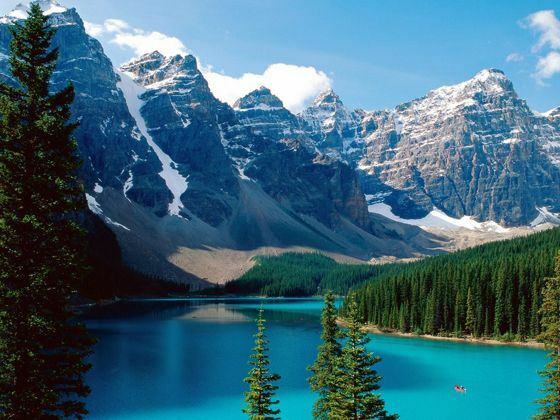 Arrive into Calgary International Airport and transfer by coach to Banff. 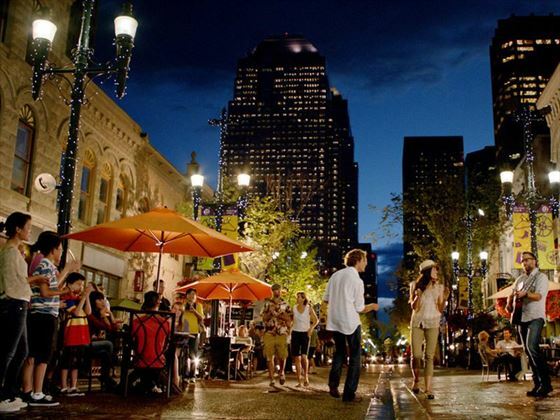 Leave the cowboy city behind and head towards the enchanting Rockies. After arriving at the resort town of Banff the rest of the day is at leisure. 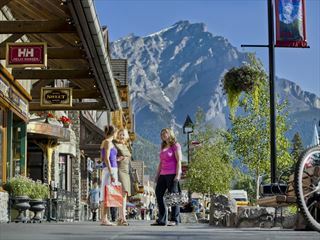 Enjoy a sightseeing tour of the town of Banff and its unspoilt natural surroundings, including highlights such as Tunnel Mountain Drive which overlooks the beautiful Bow River Valley, and the Cave & Basin where Banff’s history began. At the end of the tour, you can choose to be dropped off at the base of Sulphur Mountain to take the gondola ride to the top for spectacular panoramic views (ride not included). 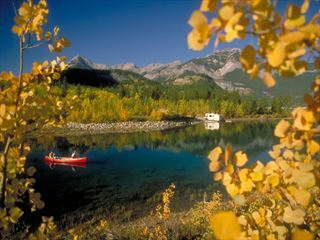 Today you will have an awe-inspiring coach journey to Jasper, taking in the spectacular Icefields Parkway en route. You will see magnificent glaciers, cascading waterfalls, turquoise lakes and lush meadows. The coach will stop at the Columbia Icefield where you will venture by Ice Explorer onto the massive Athabasca Glacier. You will also have a photo opportunity to take in stunning views of Lake Louise. Overnight in the lovely town of Jasper. 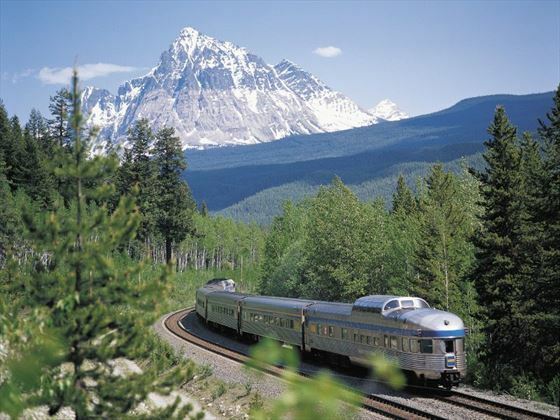 Enjoy the morning in Jasper then depart early afternoon for your rail trip to Prince George on board VIA Rail. 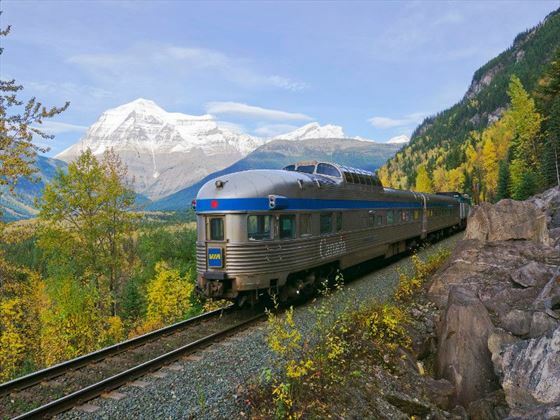 This journey takes you past the highest peak in the Canadian Rockies Mount Robson, and across the northern region of British Columbia through the ancient forests and into Prince George. Here you will have a free evening to explore this interesting city, the home of the Lheidli T’enneh and Carrier Sekani First Nations People and capital of northern British Columbia. 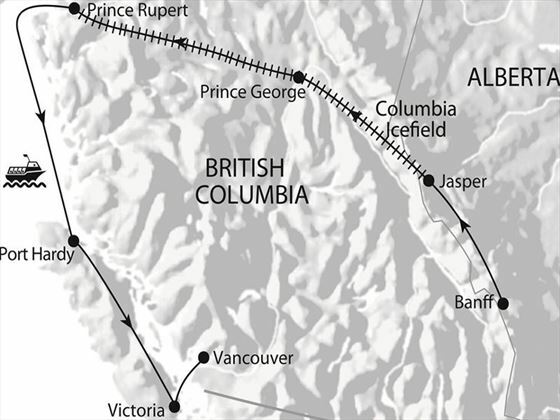 Get back onboard the VIA Rail train for an early morning departure, to continue your journey to Prince Rupert. Enjoy a relaxing day onboard the train, admiring the dramatic scenery as you pass through the West Canadian countryside. 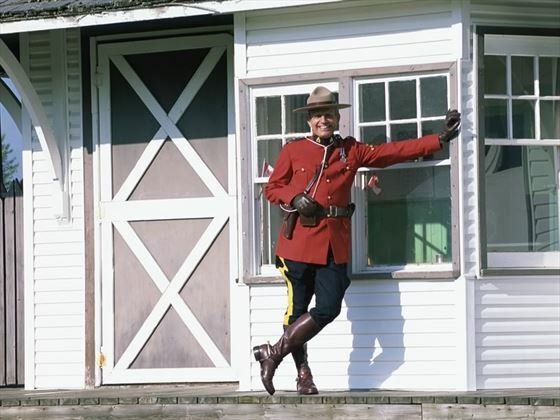 Arrive in the port of Prince Rupert, steeped in the history of the Pacific Northwest. Today you will travel the glorious Inside Passage, a paradise for photographers and wildlife enthusiasts. Sail to Vancouver Island through a maze of enchanting islands, marveling at the densely forested shorelines and deep fjords, massive ice-floes and jagged inlets. Have the opportunity to spot bald eagles, sea-lions and whales. Transfer independently to your chosen hotel in Port Hardy. Today you board a scheduled coach transfer to Victoria. Travelling down the length of the Vancouver Island, you pass through some of the most rugged landscapes of the West Coast. 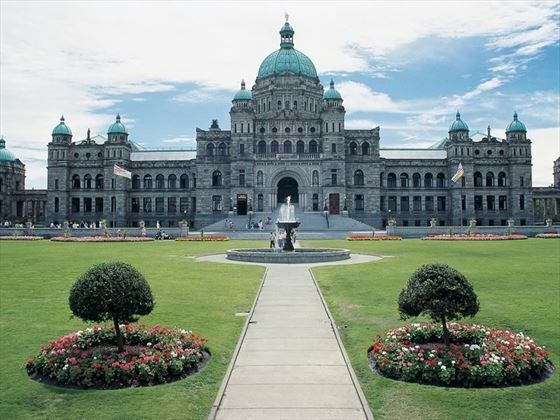 Arriving in the provincial capital of Victoria, check into your hotel where the remainder of the day is at leisure. Take the day to explore the charms and delights of Victoria. Today you'll participate in a whalewatching tour. Cruise the waters of the harbour as the soft rays of the setting sun outline some of the orca or grey whales that you may see on this relaxing, serene tour. A last morning in Victoria before transferring by coach and ferry to Vancouver and checking in at your hotel. Today is at leisure in Vancouver. 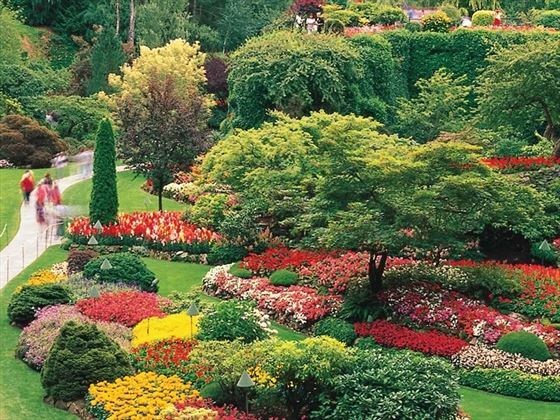 We suggest heading to Stanley Park, Capilano Suspension Bridge and Grouse Mountain while you’re in the city. If you’d prefer, sightseeing excursions can be arranged for you.